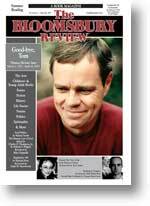 For more than 30 years we have published a book magazine with you, the discriminating book reader, in mind. We don’t plug the mega-bestsellers. We don’t push celebrity biographies or “how-to-get-richer-thinner-smarter-happier” books. And we don’t hype books or authors that are reviewed in every newspaper and magazine in the country. You hear enough about them already. 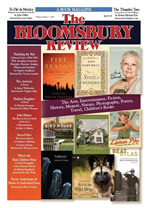 The Bloomsbury Review is simply lively writing about good reading and great writers. Our mission is to seek out those quality books that are underserved and undeservedly overlooked by other media—bringing you reviews of books from large publishers that don’t receive the promotional budget of their bestsellers, and new books from small, regional, nonprofit, independent, and university presses you won’t discover elsewhere. There is nothing more sublime than time spent with just the right book. Our phone and fax numbers are the same.